Tanks & Tanking | Tank That! Rallying Cry: A Mistake or Needed Cooldown? 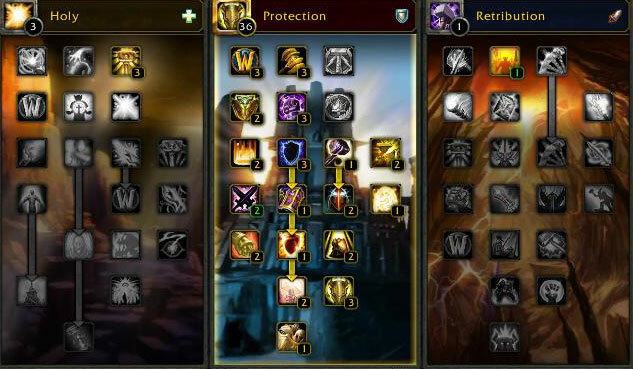 With the 4.1 PTR now live we are able to see the newest changes to each of the classes. There are changes to three of the 4 tanking classes. However, the druid changes are basically buffs to their TPS abilities since they were so obviously overnerfed in a hotfix recently. The Paladin changes deserve their own post. So that leaves the Warrior Changes. One Warrior Change in particular… Rallying Cry. Temporarily grants you and all party or raid members within 30 yards 20% of maximum health for 10 sec. After the effect expires, the health is lost. On its face this ability is a boon for all specs of Warrior. 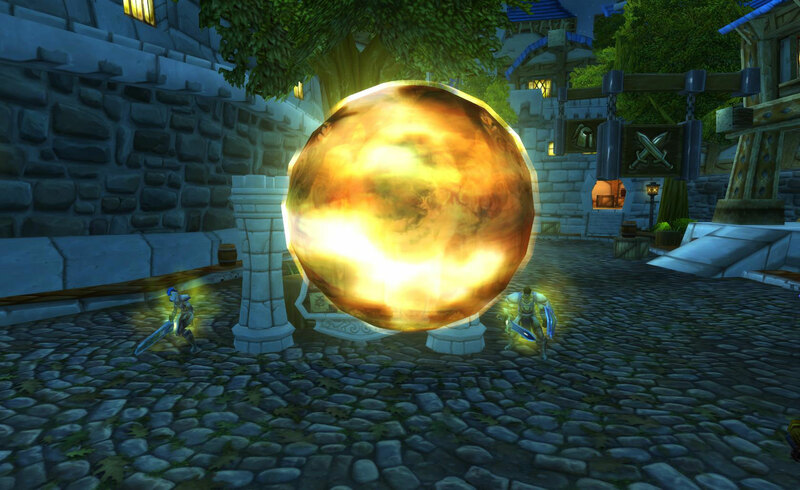 This solves our balance issues with Protection Paladins and their Divine Guardian. This gives us a raid cooldown that is actually good and useful. That is until we look at the fine print. That “Shares a cooldown with Last Stand” part of the description. Ahhh and there is the rub. What are the ramifications of this? 1) Why does Rallying Cry share Last Stand’s cooldown? By making these abilities share a cooldown Blizzard has solved one problem while causing another. There is a reason why Divine Guardian also has fine print in its description. Divine Guardian does NOT effect the casting Paladin. Why? For one reason and one reason only, because the developers did not want to give Paladins yet another cooldown they could use while tanking. These abilities were designed to be used as raid cooldowns and not as personal cooldowns. Thus by linking the cooldowns will force the cooldown to not be used as a personal tanking cooldown. 2) How does the linking effect Last Stand? Unfortunately, this will cause other complications based on the overall design of this ability. By linking these two cooldowns creates a paradigm where tanking warriors are now forced to make a decision between using one of their two tanking cooldowns and saving it to benefit the raid at a set point in an encounter. Thus, for a good chunk of the more difficult encounters where a raid cooldown may be called for Warrior tanks will now be without a cooldown they would normally have. 3) What are the ramifications for Fury and Arms? What of the other warriors inside your raid? While Arms Warriors are not a spec that are often brought to raids for their stellar dps, fury warriors are. 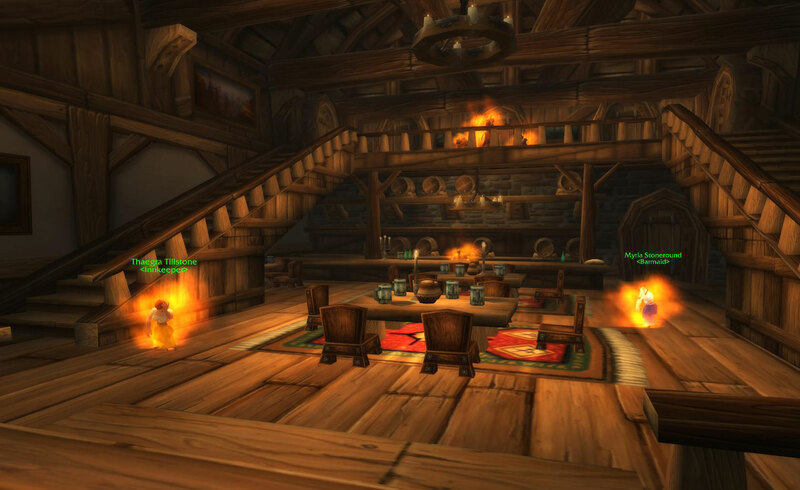 Warrior damage is high and raids are bringing the “player” and not the “class”. After this change will warriors be brought for their class? 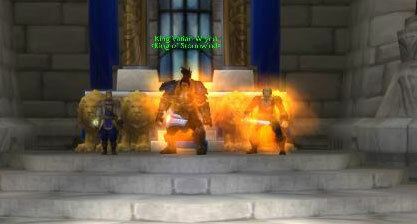 We had similar circumstances back in Wrath of the Lich King. Back then, all Paladins had access to Divine Guardian. Paladins of all three specs were being brought to raids because of this. Retribution Paladins in particular were being brought because of this. Divine Guardian was so powerful that when the trees were redesigned the ability was given only to tanks. 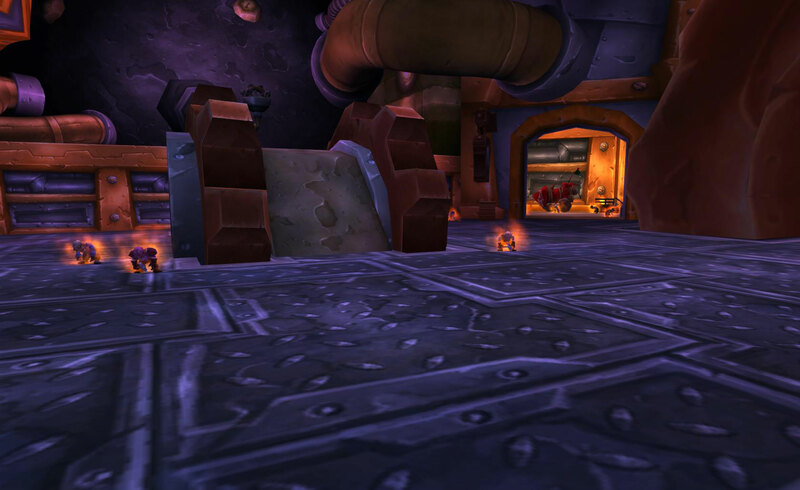 Tanks and healers have a place to protect the raid. Limiting and healing damage to the raid is their pervue. The DPS pervue is to do damage and keep themselves alive. I am not going to say that Rallying Cry will be to Warriors what Heroism/Bloodlust was to Shaman. I will however say, that the ability will shift raid makeups considerably across the board. 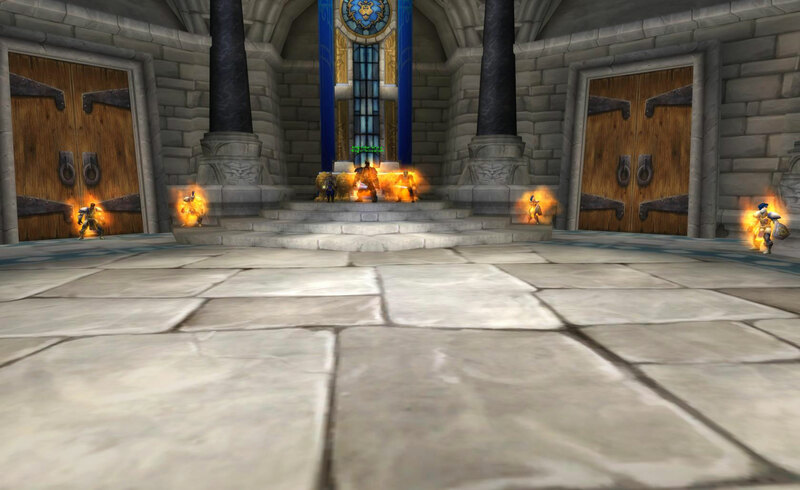 Where there were once 1 DPS warrior in a 25 man raid, there will now be 2-3. Where there were no warriors in a 10man group, there will be 1. 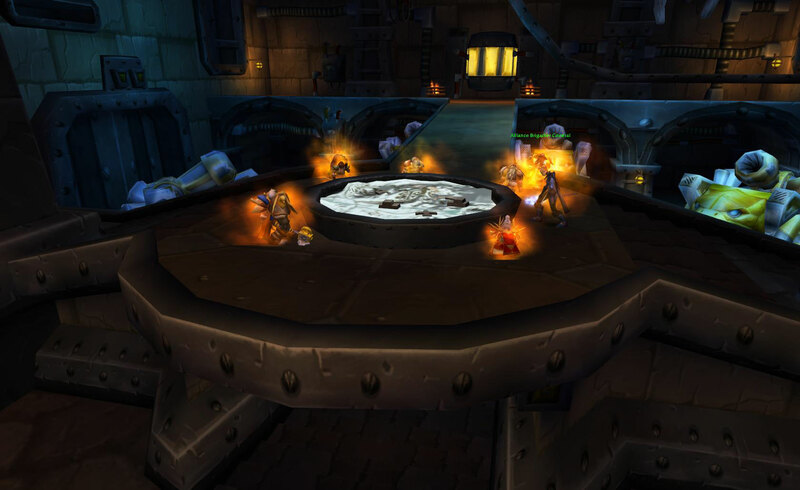 Raid cooldowns should remain in the hands of the Tanks and the Healers. 4) How do we fix this ability to be what Warrior tanks need? First off, do we as warrior tanks need a raid cooldown? Part of me wants to say, “No we do not.” While the other part of me see’s Divine Guardian and says “They have one, I want one!” What it really comes down to, will Protection Warriors be chosen more over Paladins if they had a similar raid cooldown? I can’t help but to agree that they would. Yet, that being said, is it a necessary addition to the game? Personally, I am going to go with the “No we do not” sentiment. However, it seems like we are getting this no matter if we like it or not. So how do we make this ability workable within the Protection Warrior toolkit? The easiest solution is perhaps the best solution. Divine Guardian has fine print, just copy it and paste it into the Last Stand talent. Create extra wording to the talent changing Rallying Cry from effecting the warrior if cast by him and preventing Last Stand and Rallying Cry from being up at the same time no matter who cast what. Yes, it would be better if Rallying Cry was flat out attached to Last Stand’s Talent. One talent to grant both abilities within the Protection tree. Thus making it a Protection only ability. 5) What are the PvP ramifications? I do not PvP regularly, but I can see some real issues within organized PvP. Rallying Cry during an Arena Match could turn the tide. Rallying Cry during a Tol Barad could do the same. Giving upwards of 40 people 20% extra health will be as strong or stronger than a well-timed Time Warp/Heroism/Bloodlust. Is Blizzard thinking everything as through as we’d like? Today marks the advent of the 3.1 major content patch going live on the Public Test Realms for the first time. With this patch we see massive changes to most classes and specs to improve or nerf their viability as tanks, healers and dps. While there are bigger changes to many other classes, the big changes for Warriors have thus far only been given to us by new glyphs. Glyph of Heroic Strike — Increases the critical strike chance of Heroic Strike by 5%. The soul change to our glyph repetoire. This glyph used to be a bread and butter for the 10 rage it gave when Heroic Strike critically hit. We now have something that will not only help Fury and Arms warriors, but it represents a signficant increase in threat production. Glyph of Barbaric Insults — Your Mocking Blow ability generates 100% additional threat. This used to change Mocking Blow into another taunt ability. Why they are changing a less than stellar glyph from a semi useful glyph into one that makes it so much less useful I do not rightly know. Glyph of Shockwave — Reduces the cooldown on Shockwave by 3 sec. The impact of this new treat is yet to really been number crunched. Yet, I would not be going out on a short limb if I said this is really just not worth it. Changing Shockwave from 20 seconds to 17 second cooldown should not signficantly impact a tps rotation that is dominated by two six second cooldowns. Glyph of Vigilance — Your Vigilance ability transfers an additional 5% of your target’s threat to you. This is a complete waste of a glyph. Well correction, with current threat parameters we really have little use for changing Vigiliance from a 10% to a 15% reduction in a single person’s threat. This glyph may find a use if the threat ceiling falls signifcantly with Ulduar’s opening. Glyph of Enraged Regeneration — Your Enraged Regeneration ability heals for an additional 10% of your health over its duration. A purely PvP orientated glyph if I ever saw one. There is really no real use for this glyph in a tank’s glyph set. There are much better choices of glyphs out there. Glyph of Spell Reflection — Reduces the cooldown on Spell Reflection by 1 sec. This glyph is just plain too much of a drop in the ocean to be worth anything. Reducing a lot of cooldowns by 1 second may be worth more. However, reducing this with a glyph slot is far from worth the cost of any other glyph. Glyph of Shield Wall — Reduces the cooldown on Shield Wall by 3 min, but Shield Wall now only reduces damage taken by 40%. The be all end all of the new glyphs. Combined with Improved Disciplines we now have a signficantly less powerful damage reduction tool on a cooldown equal to that of a Death Knight’s Icebound Fortitude. With the addition of Glyph of Shield Wall we now have the option to have an extremely short cooldown ability with strong mitigation benefits. Why should we be concerned over this? Simply put, we all got together and whined and complained about Warriors getting the rear end of the stick when it came to Effective Health and overall burst mitigation. What we got was a forced clone of a Death Knight ability. It may look really nice, and it may actually prove to be a boon to Protection Warriors, but we need to think about what this really means to us. This glyph becomes as mandatory to protection warriors as Meditation is to priests of any spec. This is a glyph that we will be balanced around. Do we really want to be balanced around having a specific glyph? Are other classes being balanced around them? To some extent, but it is still an option for an Elemental Shaman to pick up Lightning Bolt or Flametongue Weapon. This fundamentally changes our skill toolbox. While the new version of Shield Wall will be of great use, we are sacrificing our “Oh #$#!” button for something that will be a basic part of our survivalbility. Ask yourself, how much do you think the average Death Knight tank uses Icebound Fortitude? That’s right, the answer is pretty much every cooldown. Can they survive without it? Yes, but they also have multiple other cooldowns to work with. If we become balanced around using this every cooldown, where will Warriors be? The recent changes to some of the achievements required to accomplish for this Meta achievement both helped and hurt our eventual obtaining of the Drake. The biggest three changes of course have to be with Gotta Go!, Watch Him Die, and Ruby Void. The change from 2 minutes to 4 minutes was a huge one. Most people couldnt get much under 3 minutes before the change (myself included). This has gone from the single most difficult achievement to obtain to one a lot of groups just happen to get while completing the dungeon. This is now the second most difficult of the Heroic Achievements. Where it was once possible to use pathing to gain an advantage by having your healer stand on the ledge. Blizzard has seen fit to place an invisible wall preventing use of the ledge and other areas in the battlefield to your advantage. So now you are left with 3 distinct strategies. The “Kite Strategy”, the “Kill Adds Strategy” and the “Pure Zerg Strategy”. The “Kite Strategy” is where we found our success. By having myself pull the watchers and adds, intervene and run to the zoneline while using cooldowns, and a speed potion we were able to heroism and down the boss with 1 person alive. Not the prettiest of kills, but it got the job done. Once one of the easiest achievements in Oculus, now is probably one of the single most difficult achievements in the meta. Where you were once able to use 5 greens and dot and kite, you are no longer able to do this. The 5 Amber strategy is the only feasible strategy to use on this encounter now. You can not rely on “overgearing” the instance like you can for others. You can only rely on the compentancy and coordination of your group. (As well as their willingness to work on it til you got it done.) This task took our group hours to get down correctly. We had multiple close calls, but in the end it was only with a little luck of the RNG on when he spawned adds did we get the win. Take a look at this video. Done by a fellow tank, the video guide is invaluable in making the 5 tank system work. We however inverted the channel cycle to make our kill happen. Now That I Am Back… Stay Tuned For A More In Depth Guide To Each Heroic Achievement. You are currently browsing the archives for the Tanks & Tanking category.